Looking for deals in Guangzhou? Located on the historic European-style Shamian Island, White Swan Hotel is located along Pearl River, the center of Guangzhou’s historic area. After 35 years the White Swan is still an excellent property, great location, super condition, great staff, perfect eateries, one of our favourite hotels in China. Located in the city center, Four Seasons Hotel Guangzhou features an indoor pool, 7 dining options and hot tubs. The modern rooms feature oriental-inspired themes with soothing colors and décor. Concierge is very helpful,checking in was fast, Rooms are great, the club breakfast buffet 99 th floor is more quiet then the 72nd floor. Catch Restutant at 100th level is luxurious. Park Hyatt Guangzhou is located in the center of Zhujiang New Town CBD area. It features an outdoor roof-top bar on the 70th floor, an indoor swimming pool, a fitness center and spa on the 63rd floor.... we like the receptionist hospitality espically Ms Pauline. Located in Guangzhou, Shuge Arts Hotel has a terrace. Around 11 miles from Guangdong Olympic Sports Centre, the property is also 14 miles away from Guangzhou International Convention and Exhibition... This hotel is very Chinese, concise but artistic! I like it very much. It's beautiful, comfortable and hygienic. It's very good. Recommend! Towering over Tian He Business District, Sofitel Guangzhou Sunrich features elegant rooms with 40-inch flat-screen TVs and facilities including an award-winning spa and a 24-hour fitness center. Excellent breakfast buffet. Gym, pool are fantastic. Paco Hotel Guangzhou Zoo Metro Branch is located in Guangzhou, 1.2 miles from Huanshi Road Bar Street, and has free WiFi. The rooms were really nice and clean. Paco Business Hotel Guangzhou Tower Datang Branch offers accommodations close to Datang Subway Station (line 3). Guests can enjoy the on-site restaurant. Specially, I want to thanks,the sales executive Ms.Demi, since she was a great help to me. Strategically located within Guangzhou’s Central Business District, Jianguo Hotel Guangzhou offers quick and easy transportation links while its facilities include an outdoor pool and rooms with free... Breakfast and dinner buffet is good. Pullman Guangzhou Baiyun Airport is located right opposite to Gate 12 of Terminal 1 Departure Hall. It only takes 3 minutes to drive to Gate 46 of Terminal 2 from the property. I think that the hotel is very conveniently located for travelers to get a night's rest. Holiday Inn Shifu Guangzhou is located along popular Shangxiajiu Pedestrian Street, just 0.6 mi from Hualin Jade Market and the historic Liwan District. Everything about it was just too good. Paco Hotel(Guangzhou Dongpu Branch) is offering accommodations in Guangzhou. Rooms are nice. Bed was comfy. All main toiletries were covered like a toothbrush. Offering free WiFi, JiaJia MIX International Apartment Beijing Road Branch offers rooms in Guangzhou, a 12-minute walk from Huaisheng Mosque and 0.7 miles from Liurong Temple. Good location and new apart hotel. Featuring a bar, Ibis Hotel Guangzhou Yuexiu Park Metro Station offers accommodations less than a 10-minute walk from Yuexiu Park in Guangzhou. Free WiFi is available throughout the property. Good team, Clean rooms. Very calm place. Yimi MIX International Apartment is located in Guangzhou, an 11-minute walk from Huaisheng Mosque. The property is around 0.6 miles from Liurong Temple and 1.3 miles from Pearl River. Everything! Gd location, just abv metro station. New apartment. Tidy room, well maintain and clean. The luxurious Marriott Guangzhou Tianhe is located in the heart of Tianhe Business District, a 5-minute drive from Guangzhou East Railway Station and an easy 8-minute walk away from Tianhe Sports... Love this hotel, super nice and cute always ready to help. Located in the Tianhe district of Guangzhou, Hampton by Hilton Guangzhou Tianhe Sports Center is a 19-minute walk from Tianhe Stadium. The breakfast is beyond my expectations. And room is quiet at night. Transportation is convenient. Towering over Tianhe District in a golden building, Mayors Plaza offers air-conditioned rooms with cable TV and free wired internet. It is a 3-minute walk from Lin He Xi Metro Station. Very close to the Metro and good restaurants . The hotel is very clean. Located next to Citic Plaza and a 5-minute walk from Linhe West metro station, The Westin Guangzhou features 5 food and beverage options and a luxurious spa. the room are huge and service staff are very attentive. Located in the Tian He district in Guangzhou, 328 feet from CITIC Plaza, Aloft Guangzhou Tianhe features free WiFi access and free private parking. I had a genuinely pleasant experience at Aloft. The staff was very nice and spoke perfect English. Just a 5-minute drive from Guangzhou East Railway Station, Paco Business Hotel Guangzhou Tianpingjia Metro Branch is located in Guangzhou. Free WiFi access is available. They’re very much helpful for the customer. Careing lot. 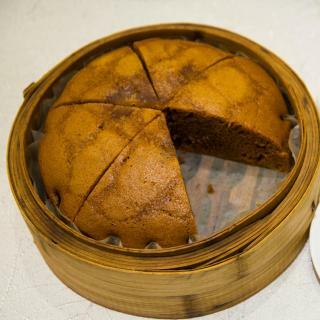 Which hotels in Guangzhou offer an especially good breakfast? For hotels in Guangzhou that serve highly-rated breakfasts, try Shuge Arts Hotel, Guangzhou Nansha Garden Hotel, and Soluxe Hotel Guangzhou. Which hotels in Guangzhou have nice views? 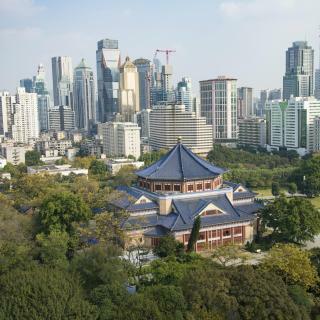 Shuge Arts Hotel, Guangzhou Nansha Garden Hotel, and Four Seasons Hotel Guangzhou got great room view-related reviews from travelers in Guangzhou. 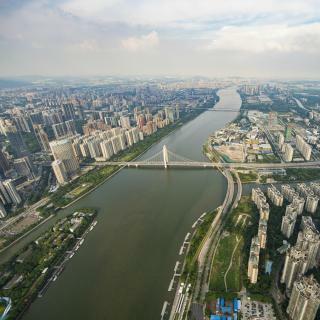 Which neighborhood is the best one to stay at in Guangzhou? Li Wan, Yue Xiu, and Tian He are popular with other travelers visiting Guangzhou. How much is a hotel in Guangzhou for this weekend? The average price per night for a 3-star hotel in Guangzhou this weekend is £83 or, for a 4-star hotel, £110. Looking for something even fancier? 5-star hotels in Guangzhou for this weekend cost around £228 per night, on average (based on Booking.com prices). How much is a hotel in Guangzhou for tonight? On average, it costs £40 per night to book a 3-star hotel in Guangzhou for tonight. You'll pay around £54 if you choose to stay in a 4-star hotel tonight, while a 5-star hotel in Guangzhou will cost around £120, on average (based on Booking.com prices). What are the best hotels in Guangzhou near Guangzhou Baiyun International Airport? Travelers who stayed in Guangzhou near Guangzhou Baiyun International Airport (CAN) have said good things about Guangzhou Airport Voyage Service Apartment Baiyun Airport, Pullman Guangzhou Baiyun Airport, and Lai Yin Apartment. Which hotels are the best ones to stay at in Guangzhou? White Swan Hotel, Four Seasons Hotel Guangzhou, and Park Hyatt Guangzhou are some of the popular hotels in Guangzhou. What are the best hotels in Guangzhou near Beijing Road Pedestrian Street? Some of the best hotels in Guangzhou near Beijing Road Pedestrian Street include Pengman Beijing Rd. A-mall Apartment, Nuomo Beijing Rd. A Jiedeng Mix International Apartment and JiaJia MIX International Apartment Beijing Road Branch. Which hotels in Guangzhou are good for couples? These hotels in Guangzhou are highly rated by couples: Four Seasons Hotel Guangzhou, Park Hyatt Guangzhou, and White Swan Hotel. Which hotels in Guangzhou are good for families? Many families visiting Guangzhou loved staying at Guangzhou Paradigm Hotel, Guangzhou Nansha Garden Hotel, and T.G Studio Jiangnanxi Branch. How much does it cost to stay in a hotel in Guangzhou? On average, 3-star hotels in Guangzhou cost £37 per night, and 4-star hotels in Guangzhou are £55 per night. If you're looking for something really special, a 5-star hotel in Guangzhou can be found for £109 per night, on average (based on Booking.com prices). Historically known as Canton and China’s third largest city, Guangzhou is the birthplace of the most popular types of Chinese cuisine such as iconic wonton soup and dim-sum. It has an impressive skyline, some of the oldest temples in the country and busy markets with everything from tea to hi-tech electronics. The busy city center mesmerises with its futuristic architecture and beautifully lit skyscrapers but just a short trip away is the quiet haven of Nansha Wetland, a bird sanctuary. 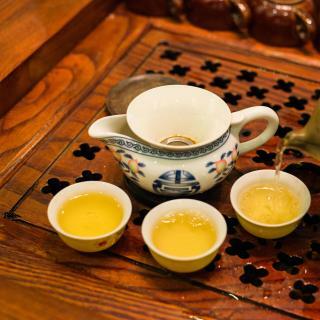 After a visit here that rejuvenates with new energy, you can then admire the traditional Cantonese architecture of Xiguan Residence, once occupied by the ruling class. 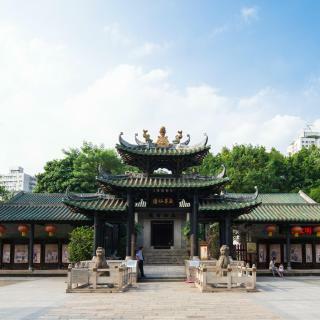 One of the city’s most popular attractions, the Liurong Temple is an absolute must-see, dating back to the 6th century and featuring a 17-story high pagoda. Make sure you don’t miss the traditional buildings near Yide Road as they are slowly being removed from the map due to the city’s rapid growth. From a 1000-year-old lake garden, to plenty of theme parks, relaxing rolling hills and mountains, Guangzhou seems to have it all! Add impressive street markets and shopping centers and you are in for a fascinating ride. 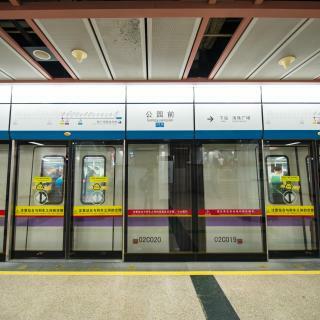 Guangzhou Airport is a convenient metro or taxi ride away and Booking.com provides over 390 different accommodations options for you to choose from. LOVE GUANGZHOU, TRAVEL HERE EVERY OTHER MONTH FOR THE LAST 8YRS.. SAFE, PPL SO SO, GREAT FOR BUSINESS AND SHOPPING! KFC, SUBWAYS & MCDONALD'S ARE THE OPTIONS FOR AMERICANS BUT IF YOU VENTURE OUT YOU CAN FIND SOME GEMS! Love Guangzhou. Enjoyed my stay more when I stayed in the city rather than on Shamian Island. Vegetarian restaurant on island was really good, my new son absolutely loved the steamed buns. Difficult to get around if have any type of disability. Shoppers paradise with lots of cultural attractions included. There are so much to see - the culture, the food, and the shopping. If you know where you want to go, the public transportation is excellent (maybe a little crowded at times) but very reasonable cost. There is a hop-on-hop-off bus (3 lines but has a full day pass) that can take you to most of the sites with minimal effort. One important thing to remember, if you are shopping, you will need to remember about taking items back to the hotel. Public transportation may not be a good choice if you have a lot of stuff to carry. Taxi is available at most places and not expensive. Location location location. Next door to Haiku too a big mall with great restaurants. Walking distance to many locations one needs when traveling be it international options or local ones. I had gone during Canton fair the busy period and had booked for 5 nights but had to leave 2 nights. Even though it was a non-refundable booking the hotel only charged me for one extra night. Concierge was very helpful and so were all the staff Breakfast was very good with many international options. ‘good’ ➕ 1.Location : only 2mins by metro ,10mins by foot .and 3mins to get to the metro station . the surroundings are so convenient . there are super market ,restaurants fruit shops .2.room : it is an apartment with kitchen ,washing machine and refres . The hotel near canton fair costs 3000per night ,it is a lot money .compare with it .the price for the apartment is reasonable .3.Service : the staff can speak good English . If you have any questions, they will help you . We stayed here for Canton Fair and spent 13 nights at the hotel. Staff is very friendly and speak English, which is very important in China. Free transfer to Expo center is provided. There are many shops and local restaurants nearby. Breakfast was OK. The room was nice and clean. There is a very beautiful park in a five-minute walk from the hotel, perfect place for a morning workout or just to have a walk. Nicely located in a quite area, but close to shopping streets, restaurants, and 5 min walk from metro. Excellent breakfast. Nice owner. Clean. We stayed here 4 night during Canton Fair. Hotel arranged convenient bus transfer in the morning and afternoon. We will be back. The location is perfect for anyone visit the exhibition. There are many halal restaurants around the area. The staff too are very polite and helpful. I found them more helpful than other hotels in the area. 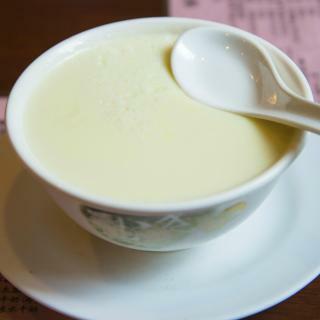 The breakfast during the canton fair is also sufficient. The hotel staff are very friendly and helpful. They go out of their way to help. Hotel is nice and clean , almost have everything you need for a airport transfer and rest. Location is very handy, have lots shops and restaurants. Will definitely use it again. I was upgraded to a superior room. Comfortable room!large space. With microwave n mini fridge. Bed was superb.nice view on 36floor.. Next to metro and beijing road but things are quite expensive. Not cheap when we think about china. Clean and relatively spacious. Near canton fair. Provides shuttle to canton fair. There is a halal noodle shop and foot massage nearby. And the lady even helped carry my bag into the taxi when it was raining. Brilliant hotel, and fantastic value at the price. Apparently been China airport hotel of the year for several years running and can see why! Enjoyable hotel, very good service, nice breakfast. Excellent view from my room and the bathroom. One of my favourite hotel in China. Excellent hotel. Very convenient. Good location and friendly staff. 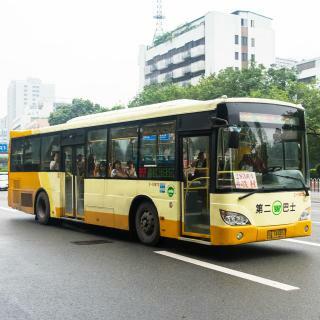 Offers free shuttle service to the Canton Fair. Very comfortable beds, clean hotel and rooms. Green suburb close to Canton Fair. Nice breakfast. Nice, friendly & co-operative reception staff. Nice bed & breakfast. Love the hotel very much.